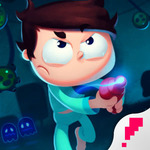 Juanito Arcade Mayhem is a new arcade adventure full of fun and crazy challenges, frenzy action and retro love. Enjoy the story of Juanito and his unexpected friend Gluk trying to protect the old retro video games from those slimy and dangerous Clonocells. 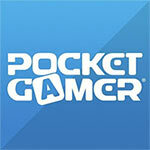 Unlock new weapons to pop your enemies, dash to avoid being hit, collect stars and feel awesome. Juanito Arcade Mayhem isn't afraid to rip the influences from its sleeve, and that makes it well worth checking out.